Looking for another flight promo? Singapore Airlines and SilkAir have a special treat for Filipino travellers! You can currently avail of all-in round trip airfares using the promo code FLYSQ2019 until 31 January 2019. The promo code is only valid until 31 January 2019. The travel period is until 31 December 2019. The promo is exclusive to KrisFlyer members, BPI cardholders, and GoldPlatinum subscribers only. Terms and conditions may apply. 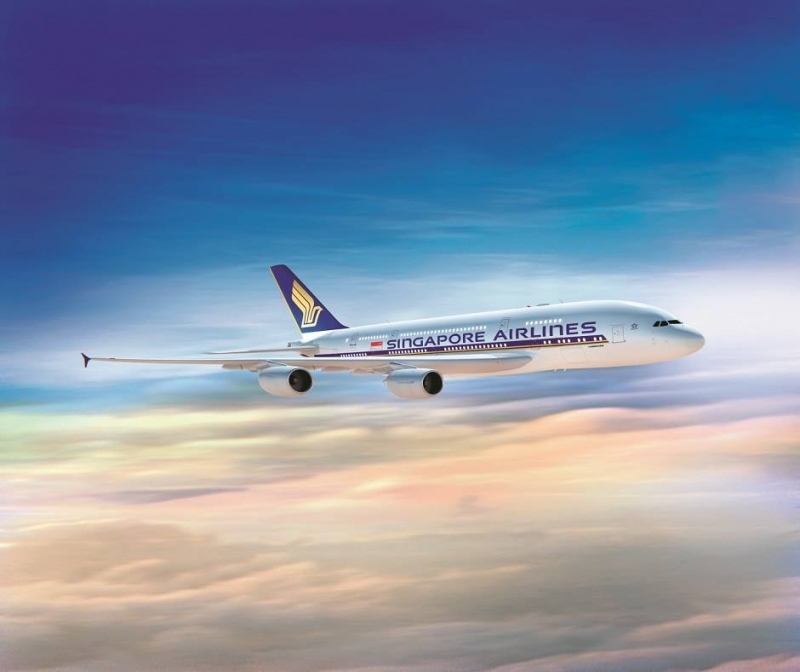 For more information on Singapore Airlines, click here. We were able to spot popular Filipino destinations that you might be interested in. 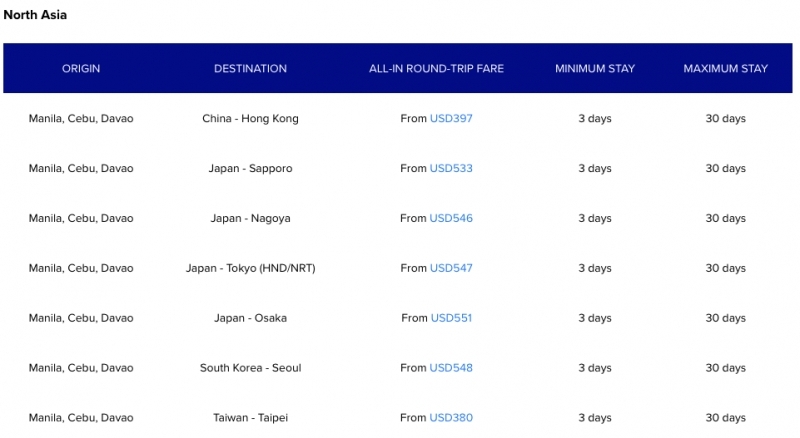 The following Economy class prices you will see are as seen on their website as of writing. You may also refer to their site to get prices on Premium Economy Class and Business Class. Round-trip flights from Manila are as low as US$188 (₱9,861.54). Trips from Cebu start from US$154 (₱8,078.07), while trips from Davao are at least US$160 (₱8,392.80). Note that the validity for outbound travel varies. In comparison, these all-in amounts are either equal to or are less than round-trip flights from budget airlines that can range from ₱9,000 to ₱13,000 inclusive of tax and other charges. This makes the promo deal of Singapore Airlines a practical option with its award-winning prestige and service. Tip: If you have a layover in Singapore for at least 5.5 hours via Singapore Airlines or SilkAir, you can avail of a FREE Singapore tour. Click here to know more. There are also available all-in round trips to Southeast Asian countries coming from Manila, Cebu and Davao. 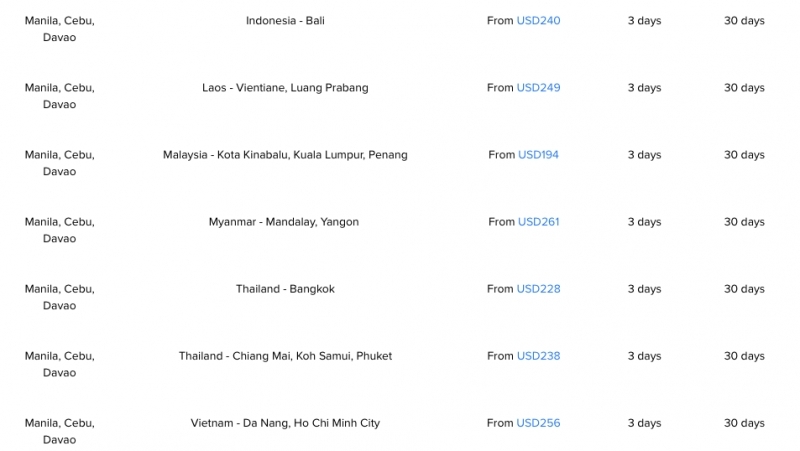 Round trips to Indonesia costs as low as US$240 (₱12,589.20). Thailand costs at least US$238 (₱12,484.29). A round trip to Malaysia on the other hand, proves to be the cheapest as it starts from US$194 (₱10,176.27). Take note that the minimum stay in these countries is 3 days and the maximum stay is 30 days. You may explore more options here. Probably the favourite destinations of most Filipinos nowadays are from North Asia. If you’re lucky enough to get a Japanese Visa, a round trip to Japan can costs as low as US$546 (₱28,640.43). Got a South Korean Visa too? A round trip to Seoul starts from US$548 (₱28,745.34). But, of course, we recommend that you maximize the Philippine passport’s visa-free pass to Taiwan while you can. A round trip to Taiwan is the cheapest among the North Asia destinations at US$380 (₱19,932.90). Interested in flying to Europe, Australia, New Zealand, Africa and America? Singapore Air’s also got your covered with their promo deals until 31 January 2019. Book HERE now! Singapore Airlines is the flag carrier of Singapore. It is the world’s most awarded airlines with recognitions that include Best Airline, Best Economy Class, and Best Cabin Crew in 2018 according to Business Traveller (UK Based). SilkAir is a regional wing and a wholly owned subsidiary of Singapore Airlines. It flies to more than 40 destinations in Asia and the Pacific and was awarded the Best Regional Airline Award in 2018 by India Travel Award, Travelscapes Veta Award, and TODAY’s Travelers Award. To know more about Singapore Airline’s airfare promo, visit their website and Facebook page. Previous ArticleAn Open Letter to DFA: Why is Passport Processing so Troublesome?